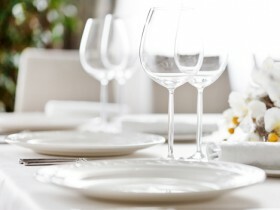 Harden's Guides have been compiling reviews of the best restaurants in Nottinghamshire since 1998. 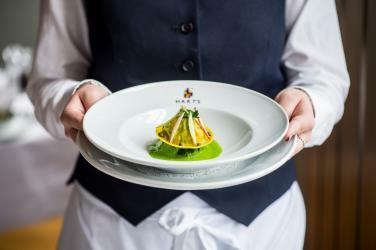 Hardens guides have spent 15 years compiling reviews of the best Nottinghamshire restaurants. 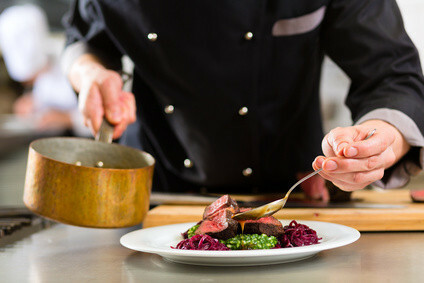 On Hardens.com you'll find details and reviews of 125 restaurants in Nottinghamshire and our unique survey based approach to rating and reviewing Nottinghamshire restaurants gives you the best insight into the top restaurants in every area and of every type of cuisine. “Monika and Sunny are always welcoming and professional” at their subcontinental staple, on the curry strip, and they still serve the “best biryani ever” (plus other “very flavourful food with bold use of spicing”). “Like escaping down the rabbit hole in Alice in Wonderland into a new world, albeit a world more relaxed than Alice’s”: when you arrive at Sat Bains’s famous foodie Shangri-la, bizarrely situated on the fringes of an industrial estate next to the A52, “a concrete and pylon forest gives way to the most exquisite and wonderful place”. Once inside the humble looking building: “a magical experience kicks in” – “staff are knowledgeable and approachable, and the food is out of this world”. There are seven-course and ten-course tasting menu options in the restaurant, and you can also book at a chef’s table (for up to eight diners) or at ‘Nucleus’ (his development kitchen) which can take up to six diners at night. This “quirky” venue (very popular locally), which shares a 17th-century townhouse and its courtyard garden with The Nottingham Club (and has something of an old-fashioned sports pavilion vibe), scores consistently well for its “fantastic food” – much of it inspired by Far Eastern flavours – “excellent cocktails and a varied wine list”. “Exciting” tapas, that’s “true to its Spanish heritage” helps make this “intimate” (“murky but characterful”) cellar “in a historic building in the Lace Market” an “outstanding” option for dinner (for all-day tapas, head to the Bar Iberico spinoff on Carlton Street). Top Tip “pre-theatre menu under £13 remains a top value option”. This grand Belvoir Valley family home-turned-country-house hotel “oozes charm”, and its “reliable restaurant” produces some “beautifully executed meals”. Charismatic founder Imogen Skirving (who died in a car crash in 2016) was one of a kind, and was always going to be an impossible act to follow, so inevitably the enterprise “has lost some edge”, but by most accounts her granddaughter Lila has made a very good fist of taking over: “the food is still delicious and the overall atmosphere still wonderful in the post-Imogen era”. “The food is definitely a cut-above your average Indian” (e.g. “the Tandoori Ostrich starter was out of this world”) and “never disappoints” at this city-centre legend. “Service and ambience are good but if the former in particular were fine-tuned more it would make this an exceptional destination”. “Consistently impressive” cooking “served by attentive and knowledgeable staff” has garnered uniformly high ratings this year for this “high-quality” outfit just off the M1. It’s “excellent value” too, especially when you take into consideration extras such as the “superb amuse bouche”. In a “beautiful” former NatWest bank a mile out of town, this newish arrival is well “worth the trip” for its “high-quality Indian fare” and “very personable proprietor” (Naj Aziz, ex-of the award-winning MemSaab on Maid Marian Way, aka Madras Mile). 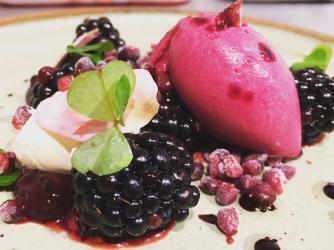 “A fantastic and innovative addition to the Nottingham restaurant scene” – Alex Bond’s summer 2017 newcomer occupes a “spacious, historic coach house” a mile or two north east of the city-centre on the borders of The Park Estate. “The only offer is of a five-, seven- or ten-course tasting menu” (everyone at the table is requested to go for the same one). “It’s pushing for excellence” in an ambitious, pushing-the-outside-of-the-envelope kind of way, and “getting better each time” providing some “outstanding combinations of flavours and textures”. These are the top restaurants in Nottinghamshire based on reviews by Hardens users.